Believe it or not, spring has been here in Russia since March 1. “It never ceases to amaze foreign students who still see snow everywhere,” says Olga, a Russian teacher at CREF. 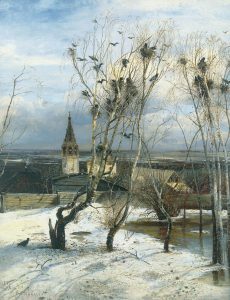 But Russian schoolchildren are not surprised to see a illustration of rooks on a snowy landscape in spring, ‘The Rooks Have Come Back’ by Alexei Savrasov, in their textbooks. Etymologically, the Russian word for spring – весна (vesna) comes from the word веселый (vesyolyy), which means ‘joyful’. With the coming of spring, we can happily begin spring cleaning – генеральная уборка (general’naya uborka). If household chores put you off, our article will help lighten your load faster and let you enjoy the mild spring sunshine sooner. Every year, it’s the same! You start a big, long list of household chores that exhausts you just by writing it out, without thinking of a real plan of attack to accomplish such a daunting task. Springtime is the opportunity to air out – проветривать (pravetrivat’) your home – дом (dom) and to clean – убрать (ubrat’) your home from top to bottom. To carry out this huge task of spring cleaning, here are some tips to get organized and to make everything shine – чистить до блеска (chistit’ do bleska) from floor to ceiling. Spring cleaning is a yearly tradition in many cultures and religions where it has a symbolic value of purification – очищение (achishcheniye), and renewal – возрождение (vazrazhdeniye). Traditionally, spring cleaning – уборка (uborka) begins by opening the windows to let in the fresh spring air and to let out the dust – пыль (pyl’) that has accumulated during the winter. Get the vacuum cleaner – пылесос (pylesos) ready for the vacuuming. Do not hesitate to move furniture – переставить мебель (perestavit’ mebel’) to clean under the furniture – подмести (podmesti) and wash the floors – мыть полы (myt’ paly). For this major operation to be completed faster and to be less stressful, it is recommended to divide spring cleaning over a weekend – выходные (vikhodnie) and to work as a couple or as a family. A bit of a historical perspective of the Russian tradition of spring cleaning. It was not so long ago that the Communists designated Saturdays as Субботники (Subotniki). Initiated by the railroad workers in 1919, Lenin established it in 1920 as a working day for ‘volunteers’, and this day was given to the state as ‘community service’. In those days, Communist workers and Party members worked for free, to “exalt in the building of socialism.” Initially, it was a sporadic event, but quickly became mandatory. These volunteer days were once organized by universities, companies, or cities. Even today, some cities organize Soubotniki in the spring to turn over the soil, or plant flowers in the city’s public squares. So, grab your cleaning products – моющие средства (moyushchiye sredstva), and be effective and efficient without wasting time! It is best to organize the spring cleaning room by room, starting with the kitchen – кухня (kukhnya), and then the bathroom – ванная (vannaya). In every room – комнаты (komnaty), spring cleaning is an opportunity to sort – сортировка (sartirovka) through your things – убирать свои вещи (ubirat‘ svoi veshchi) and put anything that can be put away into storage. This is also an opportunity to wash the curtains – занавески (zanaveski), window panes- оконные стёкла (akonnyye stokla), and the tops of the cupboards – поверхность шкафов (paverkhnost’ shkafov), which are usually neglected in our daily winter cleaning routines. You should take the opportunity to wash blankets – одеялa (adeyala) – and other thick, warmer winter bedding and store them away until they are needed again during the next winter season – сезон (sezon). 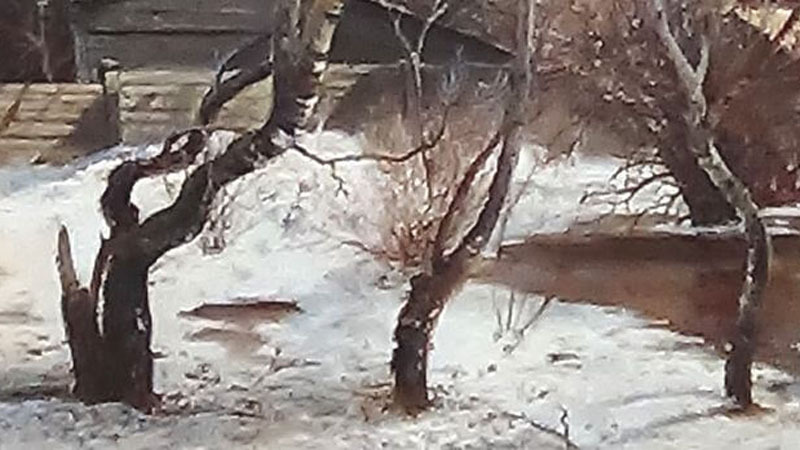 If this is not done yet, put away your winter clothing –убирать зимние вещи (ubirat’ zimniye veshchi), remembering to wash it all first and then hang out the washing – стирка (stirka) in the fresh spring air, or take it to the drycleaners – химчистка (khimchistka). You are now ready to really enjoy spring!